Three years ago, Boston Dynamics showed Atlas running in a wild with a long tether attached to it. It can barely walk without support five years ago. Atlas can be seen doing different tasks in several videos on their YouTube channel. 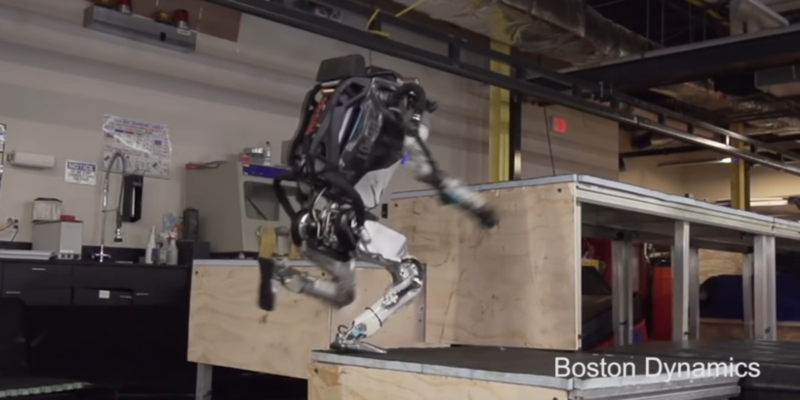 Now, Atlas is learning fast as its creators are pushing limits and making this robot able to do parkour. Yes! parkour, a new video uploaded on Boston Dynamic’s YouTube channel suggests that the robot can now jump like it’s not a big deal for a robot. However, this time, there is no support or wire attached to it. Atlas’ parkour is a big leap in robotics that can blow any human’s mind. The company demonstrated Atlas’ hops in a new video uploaded to their YouTube. It shows that the atlas is jumping over a log after running a few steps. The next scene is a set of blocks arranged in a way that it would be a difficult obstacle for a robot to make through. However, Atlas seems fine with it and jumps like it’s nothing. Many companies have been struggling to make a big robot walk on two feet. Getting atlas to jump and manage to balance everything with a weight of this kind is undoubtedly a great achievement. Weight shifting, momentum and balancing a robot is a complicated mechanics. Atlas weighs around 180 lbs as disclosed by Boston Dynamics. The way it manages to leap and pass the obstacle is a whole new level of challenge. The slow-motion cut, in the end, shows how Atlas uses feet and hips to manage the angle and successfully land on the destination. After watching this video, many people will go from “We are far away from advanced robots” to “This robot can beat me up in parkour.” It seems like Atlas has now mastered parkour and what’s next? There are many exciting videos on their channel where you can see Atlas and other robots doing push-ups, running, jumping and many other things. Alphabet.Inc (Google’s parent company) sold Boston Dynamics to Silk Bank last year. 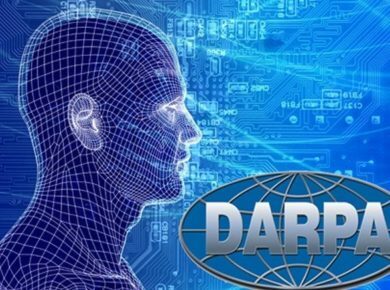 The company was funded by DARPA and is working on many mind-blowing projects. We would love to know your opinion on this. Is it scary or are you the one who thinks it’s cool?